Parkview Health has again been named one of America’s Best Employers by Forbes magazine. The America’s Best Employers in 2019 list ranks the top 500 employers across 25 industries. 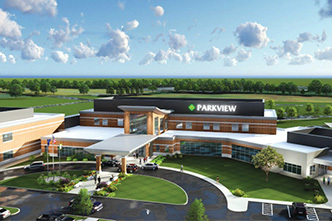 Parkview Health was ranked No. 171 overall and No. 16 in the healthcare and social services industry. 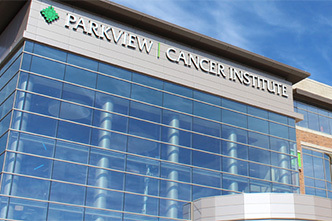 The 2019 IBM Watson Health™100 Top Hospitals® list includes multiple Parkview Health hospitals: Parkview Noble Hospital, Parkview Whitley Hospital and Parkview Regional Medical Center & Affiliates, which includes Parkview Regional Medical Center, Parkview Hospital Randallia and Parkview Behavioral Health. The study spotlights the top-performing hospitals in the United States based on a balanced scorecard of publicly available clinical, operational and patient satisfaction metrics and data. 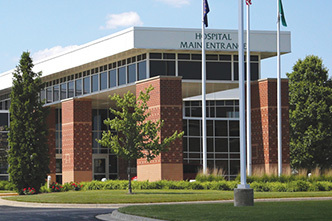 Two Parkview community hospitals, Parkview Noble Hospital and Parkview Huntington Hospital, have been named in the Top 100 Rural & Community Hospitals in the United States by The Chartis Center for Rural Health. 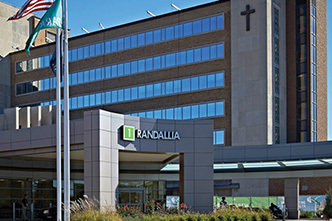 Regarded as one of the industry’s most significant designations of performance excellence, the annual Top 100 Rural and Community Hospitals award is based upon the results of the Hospital Strength INDEX® from iVantage Health Analytics. The Parkview Cancer Institute has been accredited by the National Accreditation Program for Breast Centers (NAPBC), a program administered by the American College of Surgeons, demonstrating its commitment to high quality care and outcomes for patients with diseases of the breast. For the second consecutive year, The National Association for Business Resources named Parkview Health one of The Nation’s Best and Brightest in Wellness® for 2018. The program honors organizations that promote employee well-being, worksite health and wellness. The American College of Cardiology (ACC) has recognized the Parkview Heart Institute for its demonstrated commitment to comprehensive, high-quality cardiovascular care and culture of continuous improvement. 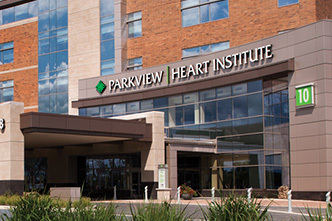 The Parkview Heart Institute was awarded the HeartCARE Center National Distinction of Excellence, based on meeting accreditation criteria related to quality of care, and through their ongoing performance registry reporting. Parkview Behavioral Health has been awarded the 2018 NDNQI Award for Outstanding Nursing Quality® by Press Ganey. The award recognizes the psychiatric hospital that has achieved excellence in overall performance in nursing quality indicators and has also made impressive and measurable improvements in nursing performance and patient outcomes. Parkview Regional Medical Center has received its 11th consecutive ‘A’ in The Leapfrog Group’s Fall 2018 Hospital Safety Grade. Leapfrog’s Hospital Safety Grades are released each spring and fall, and assign an A, B, C, D or F grade to hospitals across the country based on how safe they are for patients. 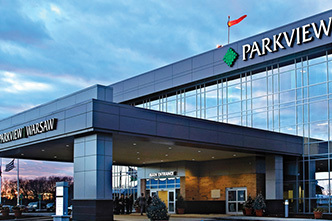 For the fifth year in a row, Parkview Health has been recognized as one of the College of Healthcare Information Management Executives (CHIME) HealthCare’s Most Wired health systems. One of only five in the state, the recognition honors organizations that have established best practices and promote the strategic use of healthcare information technology to elevate care in their communities. Parkview Health EMS has achieved a prominent distinction in 9-1-1 emergency communications by attaining International Academies of Emergency Dispatch® (IAED™) status as an Accredited Center of Excellence (ACE) for its use of the Medical Priority Dispatch System™ (MPDS®). The MPDS is a comprehensive system of providing care via phone, by a dispatcher, prior to first responders arriving to a scene. Parkview is third in the state to achieve ACE status, one of only 190 worldwide. Parkview Health has been named one of America’s Best Employers in 2018 by Forbes Magazine. 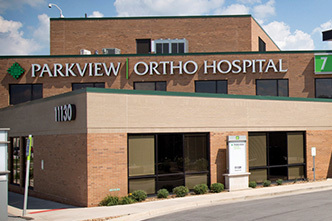 Parkview Health was ranked No. 93 overall and No. 14 in the healthcare and social services industry. 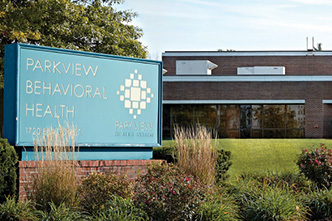 Parkview Health was the only organization in the region to be recognized by Forbes and the only organization in the state to be named in the healthcare and social services industry. Parkview Regional Medical Center was one of 750 hospitals awarded an ‘A’ for its efforts in protecting patients from harm and meeting the highest safety standards in the U.S. 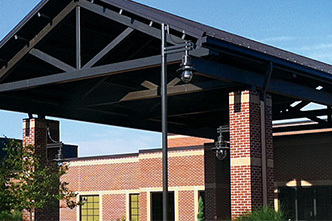 This is the tenth consecutive ‘A’ grade for Parkview Regional Medical Center. For the fourth consecutive year, Parkview Health has earned the Advisory Board Workplace of the Year Award. The annual award recognizes hospitals and health systems nationwide that have outstanding levels of employee engagement. 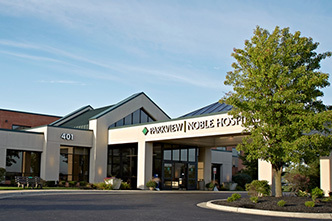 Four Parkview hospitals are being recognized among the Best Places to Work in Indiana: Parkview Huntington Hospital, Parkview Noble Hospital, Parkview Wabash Hospital and Parkview Whitley Hospital, which includes Parkview Warsaw. The thirteenth annual program was created by the Indiana Chamber of Commerce and Best Companies Group. 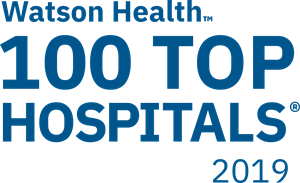 Parkview Huntington Hospital (PHH) and Parkview Noble Hospital (PNH) have been recognized among the 100 Top Hospitals® in the nation by IBM Watson Health™. This study program annually spotlights the highest-performing hospitals and health systems in the United States based on a balanced scorecard of clinical, operational and patient satisfaction metrics. The Leapfrog Group released new Leapfrog Hospital Safety Grades. The Safety Grade assigns letter grades of A, B, C, D and F to hospitals nationwide based on their performance in preventing medical errors, infections and other harms. 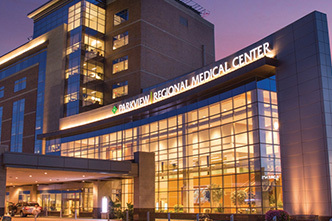 PRMC was one of 832 awarded an “A” for its commitment to keeping patients safe and meeting the highest safety standards in the U.S.
Becker's Hospital Review released its list of 58 Hospitals and Health Systems with Innovation Programs, which included the Parkview Mirro Center for Research and Innovation for the second consecutive year. The hospitals and health systems listed have committed to innovation with dedicated centers and departments. For the fourth year in a row, Parkview Health has been recognized by the American Hospital Association’s (AHA) Health Forum as a Most Wired® health system. According to the 19th Annual Health Care’s Most Wired® survey, Most Wired hospitals are using smart phones, telehealth and remote monitoring to create more ways for patients to access health care services and capture health information. Parkview Health’s hospitals have joined the ranks of the nation’s most elite by achieving Magnet® recognition across the region. Magnet designation is granted by the American Nurses Credentialing Center’s (ANCC) Magnet Recognition Program®, which ensures that rigorous standards for nursing excellence are met. 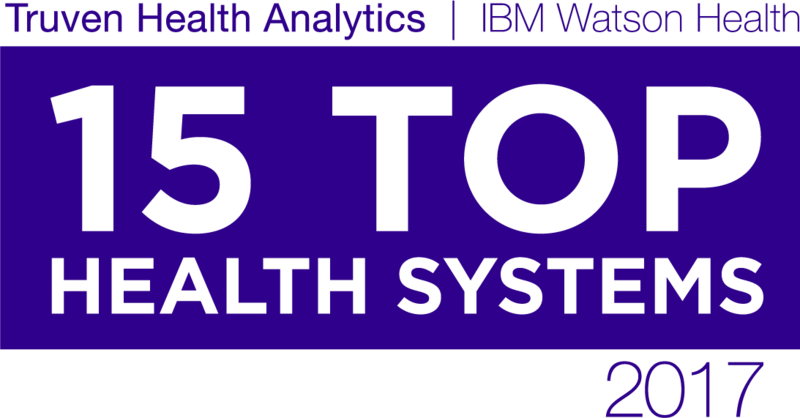 Parkview Health was this week named one of the nation’s 15 Top U.S. health systems by Truven Health Analytics®, part of the IBM Watson HealthTM business. Truven Health Analytics is a leading provider of information and solutions to improve the cost and quality of healthcare. 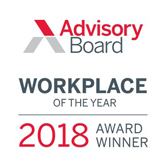 For the third year in a row, Parkview Health has been named The Advisory Board Company’s Workplace of the Year. Parkview is one of a select for health systems nationwide to receive the award that is a recognition of having outstanding levels of employee engagement. 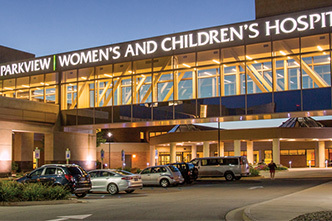 Becker's Hospital Review today released the 2016 edition of its list of 50 Hospitals with Innovation Programs, which included the Parkview Mirro Center for Research and Innovation. All hospitals on the list demonstrate a commitment to bettering healthcare by tackling the biggest challenges facing patient care and care delivery. 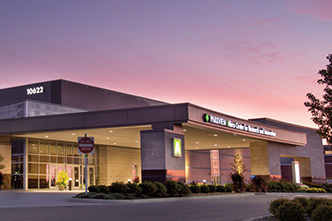 Parkview Health today announced that its five community hospitals have been recognized by iVantage Health Analytics and the National Organization of State Office of Rural Health (NOSORH) for overall excellence in quality, outcomes, patient satisfaction and financial strength, reflecting top quartile performance among all rural acute care hospitals in the nation. Parkview Health announced the accreditation of the Parkview Samaritan air transport and mobile intensive care units (MICU) by The Commission on Accreditation of Medical Transport Systems (CAMTS). Parkview Samaritan is the region’s only CAMTS-accredited medical transport system and one of only five accredited systems in the state. The American Association of Critical-Care Nurses (AACN) recently awarded the Inpatient Cardiac Unit at Parkview Heart Institute with a silver-level Beacon Award for Excellence, which recognizes caregivers who successfully improve patient outcomes and align practices with the AACN’s Healthy Work Environment Standards. 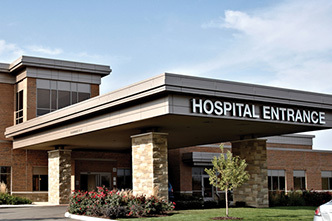 Parkview Regional Medical Center has been recognized as the “2015 Hospital of the Year” by the Indiana Lions Eye Bank for showcasing exemplary leadership and a commitment to both the donor program and the communities within the health system.